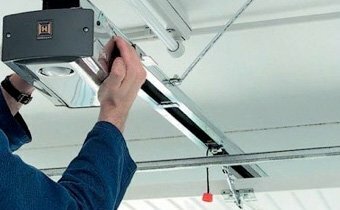 Are you looking for the garage door repair service in Lawrenceville, Georgia? Look no further than A1 Garage Door Service. We are the most trusted and reliable garage door service and repair in the city. Give us a call today and experience 100% satisfaction on all of our works and products. You can reach us via this numbers 470-236-0800 and let us know what can we do for your garage door. Most homeowners and business owners need to repair their garage doors from time to time, and you’ll need to hire the best garage door service company to keep a garage door in its best possible working condition. We, at A1 Garage Door Service, proudly offers a well-trained team for your residential and commercial garage door services. These technicians always strive to provide the necessary repair or replacements to your malfunctioning garage door. With over several years of service, we have already received many awards and recognitions from various types of online review sites. Through our loyal and satisfied customers and dedicated employees, we have been given the opportunity to be a recipient of Super Service Awards from Angie’s List. We encourage you to take a little time to research about us so you can have an idea on how we work. When you say A1 Garage Door Service, you are talking about a company that has a team of garage door technicians with a combined experience that is second to none. Ours is a company which hires professionals who have the ability and credibility to service any type and kinds of the garage doors. They have a wealthy understanding of the complex mechanism behind garage doors. Whatever garage door issues you have right now, may it be that a cable snaps, a roller breaks, or the track gets misaligned, no matter how big or small the task is, our technicians can fix them all. They can provide a repair or replacement with due precaution and care. Safety and security are the primary concern of our experts that’s why they always do a thorough inspection in order to keep your garage door working properly again and safe to use. All the products we offer – whether a spare part, garage door or garage door opener, comes with excellent warranties including lifetime warranties on selected garage door items. We assure you that we only work with the top brand manufacturers in the industry to give you products that are long-lasting, with great functionality, durability, and power. We offer brands that you maybe be familiar with such C.H.I. Martin, Wayne Dalton, and many others. 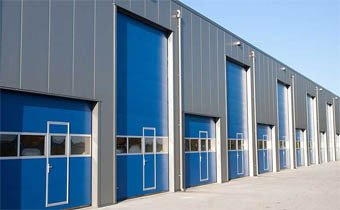 We want to point out that apart from installations, repair, and maintenance service, we also offer the different types and kinds of commercial and residential garage doors. We want your garage door needs to be met easily for your convenience with A1 Garage Door Service. Contact us and make your appointment to be one of the happy and satisfied customers of A1 Garage Door Service. For Your Emergency Garage Door Service, Talk to Us! When a garage door is broken in the most inconvenient time and event, it brings panic to most homeowners as it could lead to a dangerous situation. In an emergency like this, you have to schedule a convenient time for our visit in order to fix your garage door immediately. We opened our hotline to take all your calls 24 hours a day, seven days a week regardless of holidays and detrimental weather. Contact us any time when you need us and we will arrive in your areas on the time you have scheduled for us. Give us a call at 470-236-0800.